With a precise anatomical design, blended merino construction, and underfoot cushioning with the added benefits of compression, the Ski+ Compression Light Over the Calf socks are the ultimate ski socks. 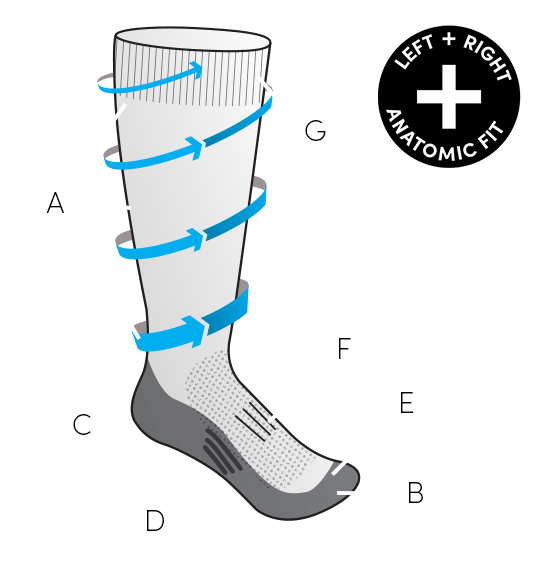 Our Ski+ Compression sock construction features graduated compression that helps increase circulation and support for better skiing performance and faster recovery. The reinforced heel and toe areas improve durability, and the seamless toe closure reduces bulk and helps prevent blisters during long days on the mountain.